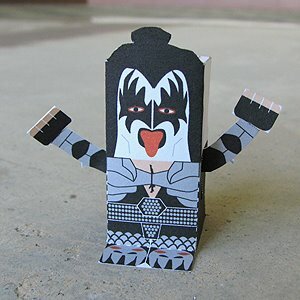 This paper toy is Gene Simmons, the papercrafts is designed by Toy a Day. Gene Simmons is an American rock bassist, singer-songwriter, entrepreneur and actor. Known as “The Demon”, he is the bassist/co-vocalist of Kiss, a hard rock band he co-founded in the early 1970s. Kiss has sold over 100 million albums worldwide.